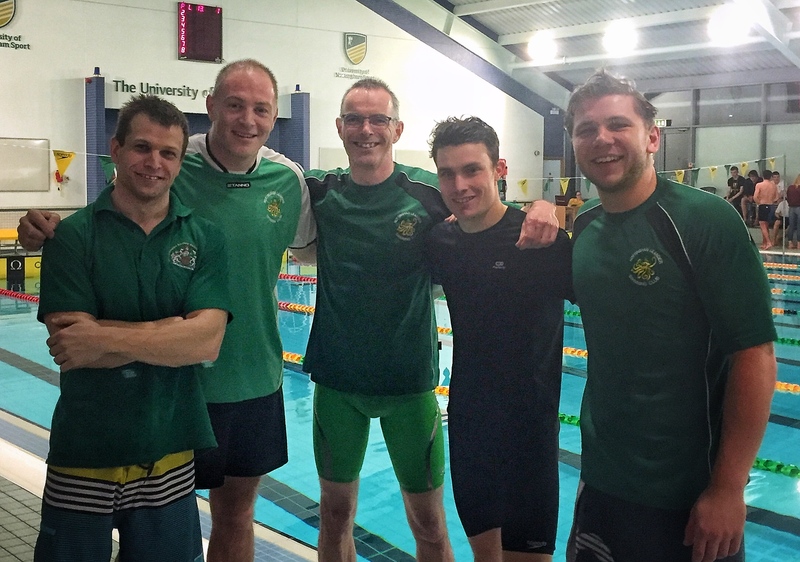 A Leander Masters team, average age 36, took on the youngsters from the universities of Nottingham, Trent, Keele, Sheffield and Derby in a friendly gala. 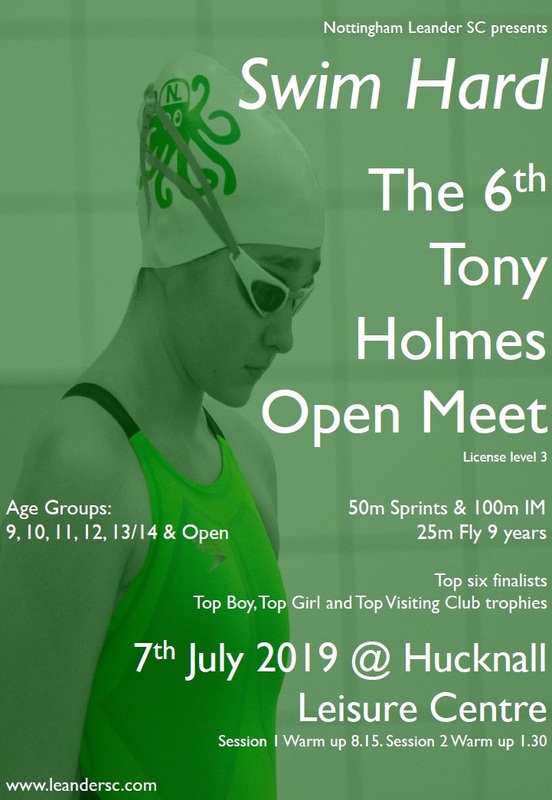 Despite being a team depleted by withdrawal (including one swimmer with the sudden urge to get a tattooed instead of swimming), and with no female swimmers, the team of Jonny Higham, Mark Wilson, Henry Morton, Simon Tuckwell and Colin Robbins did remarkably well, finishing in the top half of the field in most events. Colin opened with a reasonable 50 back in the medley relay and steady 100 IM, Henry did a great 95 fly. We’ve found a new Breaststroke swimmer in Mark (33.59, Hase your dropped), Jonny missed getting our only win by 0.11 on the 50 Back. Simon closed out the event with a staggering 26.39 in the 50 free. Well done to Leander member Hector who coached the Trent team to 5 wins, and 2 seconds.